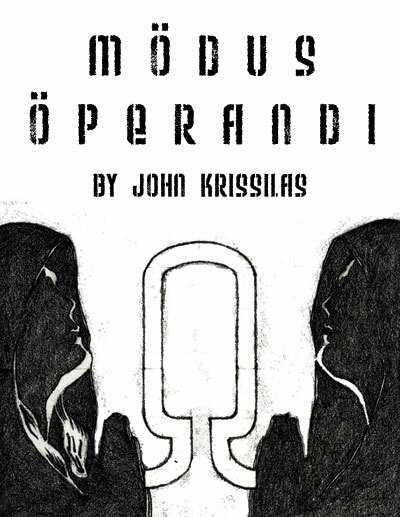 John Krissilas / Writer, Thinker, Storyteller: "Modus Operandi" now available for download! "Modus Operandi" now available for download! Some great news to celebrate the beginning of the summer: I've added another new short story that's free for everyone to read and download, called "Modus Operandi". "Modus Operandi" was an extremely interesting and satisfying tale to write. At its heart, it is deeply philosophical - it was my chance to explore the eternal debate between science, religion, and New Age thinking. In order to bring about the need for such a debate, I created a foil - a common enemy - called The One True Way, a worldwide movement that would offer a perspective that's contrary to all of the others. A straight debate, of course, would be more fitting in a philosophy class than a dystopian science fiction story, and so I decided to weave it into a thrilling, espionage-laden episode in which a team of spies attempts to kill off the leader of the new cult. And so, "Modus Operandi" was born!